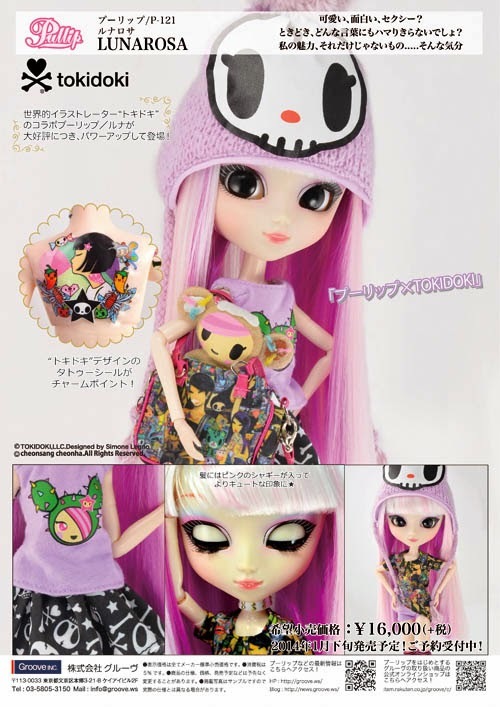 During Doll Carnival 2012, Groove launch their first collaboration with the tokidoki brand - Pullip doll Luna. 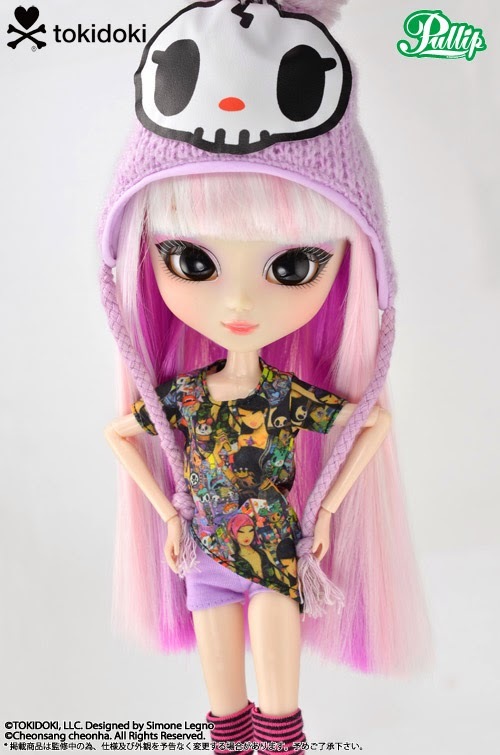 She must have been a success, because this year 2014 we will get another tokidoki Pullip! Groove has released photos of her on their blog, and also her name - Lunarosa! Her primary colour theme is obviously pink, with pink top, beanie and even her hair. Maybe too much? Would prefer more colour variety. Upon closer examination of the photos, Lunarosa seems to be a recolour of Luna. 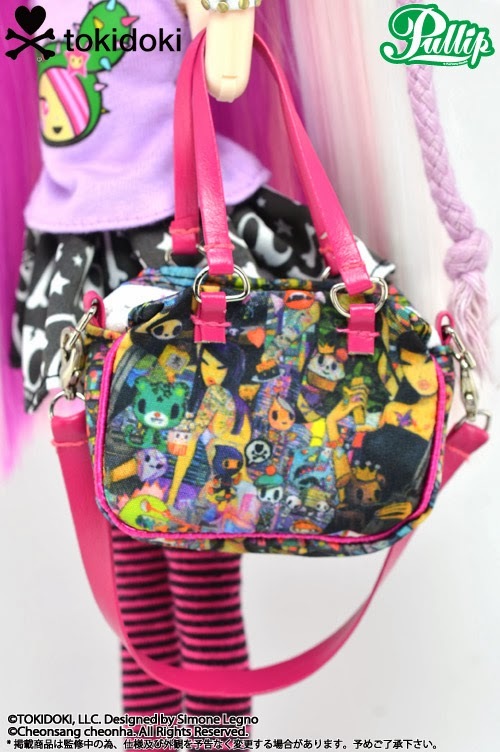 The designs of the skirt, socks, shoes, tie-dye top, bag etc are similar. And the Donutella plushie looks exactly the same! Obvious differences are the top (Cactus Friend Sandy instead of Stellina Unicorno) and the beanie (Ciao Ciao instead of Adios). And the tattoo stickers should be different too. Maybe (no, hopefully!) there will be more differences when the final doll is released.